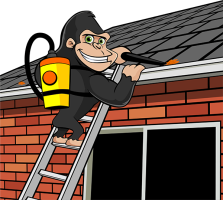 Routine gutter cleaning may not seem necessary in Penticton. The city itself only sees 13 inches of annual rainfall but even a small amount of water can be a big problem. 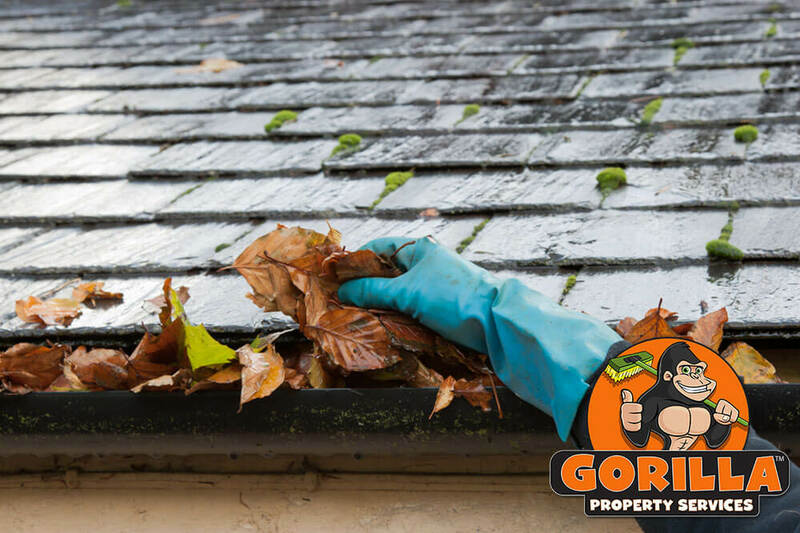 When you gutters are not functioning properly, even a minimal amount of water can lead to structural damage to your property. Our Penticton gutter cleaning is here to keep your system running smoothly. A proper Penticton gutter cleaning is recommended once a year, at minimum! Many of our clients prefer a semi-annual service during Spring and Fall months. Penticton is known for it’s dramatic landscape and that is why Quarterly (every three months) services are available as well. With pine and fir covered mountains, and the leafy streets of the city itself; debris can easily find its way into your gutters. When our fully trained Gorillas arrive at your property, there are certain factors you can rely on. Safety is paramount. All ladders are secured to the roofline using ‘Stand-offs’. These allow our technicians safe access to the guttering without causing any damage. Once installed, a full walk around is carried out and all necessary equipment is tested. Following that our Gorillas take ‘Before pictures’ so you can see the issues, from terra firma, before we take care of them. The aim of our Gorillas, is to give our clients a lasting improvement on their property. That is why we make sure to remove any branches, leaves, pine needles and debris. We start with the roof, then the gutters and finish by fully testing the entire system. Some Penticton Gutter Cleaning Services do just that; clean only the gutters. This is great, until the next wind storm when the plant remnants left on your roof blow into the gutter and you’re back to square one.